After 8 wonderful and glorious years, Oliver Queen will be retiring his green hood. Today, Stephen Amell, who plays Oliver Queen, announced on Twitter that his time on Arrow will be coming to a bittersweet end. The CW DC-based superhero final season will consist of just 10 episodes, falling short of the series regular 23-24 episode seasons. After debuting in 2012, Arrow drew in a tremendous fan-base. 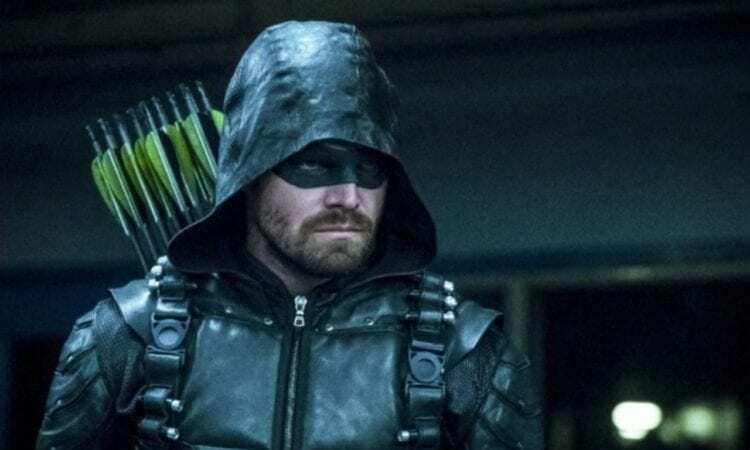 From the get-go, it portrayed that darkened plot and story-line that long time fans of the series so desperately craved, and Stephen Amell won over DC fans with his spectacular performance as the Starling City Emerald Archer. Since that day, I have truly enjoyed watching Stephen Amell grow in the character of Oliver Queen – and I absolutely admire everything that he has brought to the screen. Following in line behind Arrow, DC fans soon got the taste of The Flash, Supergirl and DC’s Legends of Tomorrow… and with the arrivals of these new shows; we even got treated to some pretty incredible cross-over episodes. “This was a difficult decision to come to, but like every hard decision we’ve made for the past seven years, it was with the best interests of Arrow in mind. We’re heartened by the fact that Arrow has birthed an entire universe of shows that will continue on for many years to come. We’re excited about crafting a conclusion that honors the show, its characters and its legacy and are grateful to all the writers, producers, actors, and — more importantly — the incredible crew that has sustained us and the show for over seven years.”” said Greg Berlanti, Marc Guggenheim, and Beth Schwartz in a recent interview with EW. Arrow is currently filming its Seventh Season, and given this recent news – really, anything could happen. I’m not saying we should expect a Game of Thrones crazy situation, but for years Greg Berlanti and Marc Guggenheim have thrown some incredibly unique twists and turns at us… so who knows what they have coming down the pipeline. All I know is, that this news is incredibly heart-wrenching, but I have to take a moment to thank the wonderful cast and crew of Arrow for seven incredible years; and I am looking forward to seeing what their 8th Season will bring. Arrow will return on Monday, March 12th at 8PM/EST on The CW.